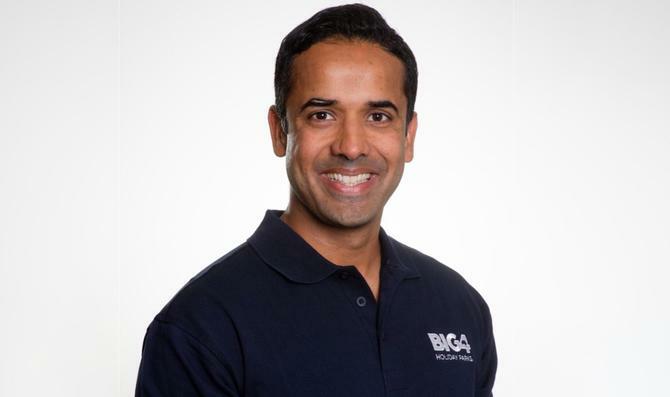 Bhargava is joining BIG4 Holiday Parks of Australia as its general manager of sales and marketing from mid-February, with additional responsibility over support services. He indirectly replaces former GM of sales and marketing, Campbell Davies, who left the organisation after a three-year stint in October to take up the group GM of member services role at Associated Retailers Limited. Bhargava has been the GM of sales and marketing at Village Roadshow for the last five years, overseeing its cinema brand, Village Entertainment, as well as Topgolf Australia. He joined the business in 2012 after working as a senior digital marketer with Nova Entertainment. “Mohit brings with him a wealth of expertise in the entertainment and hospitality industry, particularly around marketing to families and couples, which is the lifeblood of BIG4,” said BIG4 CEO, Steven Wright. “He is highly respected and, like the holiday park industry, comes from an industry that has been subject to major disruption in recent years. Bhargava summed up his biggest achievements as helping Village transform from a commodity to an experiential offering. During his time at the entertainment group, he instituted a voice-of-customer program, kicked off a new-look and data-driven customer loyalty program offering, which now contributes more than 60 per cent of revenues, helped digitise customer engagement and retail capabilities, oversaw the rollout of a customer data platform (CDP) and marketing automation, introduced new mobile-based products, and increasingly personalised the cinema-going experience. He also introduced Australia's first kids cinema and 4DX offering, and developed the VPremium causal dine-in cinema concept to complement Gold Class. It was this wide array of strategic efforts that saw Bhargava ranked 8th in the 2017 CMO50 list. In fact, he quoted to CMO his CEO’s final comment on his exit email highlighting his instrumental role in designing and cultivating Village’s digital environment, including its online digital platform, as well as its strong customer loyalty program. “I am so looking forward to commencing with BIG4,” he commented. “It’s an iconic Australian brand operating in a circa $2 billion industry with strong growth potential and event through it is the clear market leader, it is not standing still. It has great leadership and has detailed plans and budgets to aggressively grow its online presence, loyalty program and overall revenue.